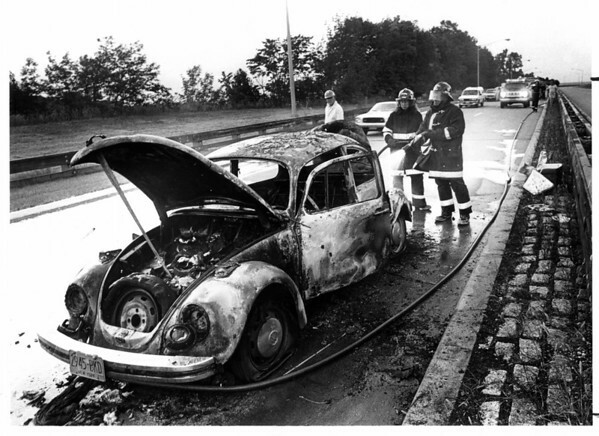 Members of Lewiston Fire Co. #1 hose off the remains of a volkswagon bug after it burned on the Southbound lane of the Robert Moses Pkwy. in the Town of Lewiston. Photo - By John Kudla - 7/18/1985.